Eating a diet that is low in whole grains, fruit, nuts and seeds and fish oils and high in salt raises the risk of an early death, according to the huge and ongoing study Global Burden of Disease. Too little fruit kills nearly five million people every year, and too much salt kills four million. 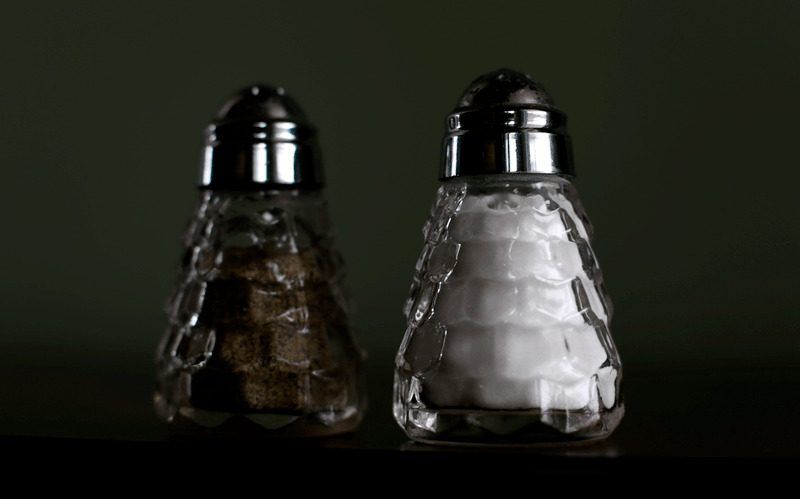 There are three things we can do to lower our salt intake. Don’t add salt at the table. A third of us add salt to our food before even tasting it! Stop adding salt when cooking. At first the food will taste bland. 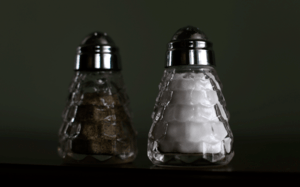 Two to four weeks later, however, as the sensitivity of the salt taste receptors in the mouth become more sensitive to the taste of salt in the usual concentrations. Believe it or not, after two weeks you may actually prefer the taste of food with less salt. Avoid processed foods that have salt added. Even if we completely stop adding salt in the kitchen and dining room but still eat processed foods with salt, it will only bring our down salt intake a small fraction (because of the high salt content in processed foods). If you do buy processed foods, select foods that have fewer milligrams of sodium than there are calories. For example here the sodium is 720; calories are 260. 720 is greater than 260, so this has too much sodium. The reason it works is because most people get about 2,200 calories a day, so if everything you ate had more calories than sodium you’d at least get under 2,300 milligrams of sodium upper limit for healthy people under age 50. Some of the flavorings you can use instead of salt include pepper, onion, garlic, tomato, sweet peppers, basil, parsley, thyme, celery, lime, chilli, nettle, rosemary, smoke flavor, curry, coriander, and lemon. Of course, the healthiest foods have no labels at all. We should also try to buy as much fresh food as we can, as it is almost impossible to come up with a diet consisting of unprocessed natural food that exceeds the strict American Heart Association guidelines for sodium reduction.